Marchettino - The ONLY official website: The 2012 Ferrari F620 GT is almost here..
For a Ferrari enthusiast like me, it's always exciting and enervating the waiting for the debut of a new Ferrari. Last year we had the debut of the innovative and astonishing Ferrari FF that replaced the 612 Scaglietti. After 6 years after the debut of the Ferrari 599 GTB Fiorano, it's time for a replacement, something faster and with the newest and best technology that Ferrari has developed over the years. We know it's going to be called " F620 GT ", next Monday will start the private debut in Maranello, just for Ferrari owners... the public world debut will take place in March at the Geneva Motor Show, I will attend the event during the press days and hopefully I will be one of the very first that I show you on detail this new creature. Actually we just know the F620 GT will feature a 7-Speed double clutch transmission and a modified version of the 6.3L V12 engine of the Ferrari FF, with a final output of 710hp, making it the most powerful road-legal Ferrari ever! I've stumbled upon this very interesting drawing about how the F620 could look like, the author did the same with the FF before the official debut and the result was very similar to the reality. 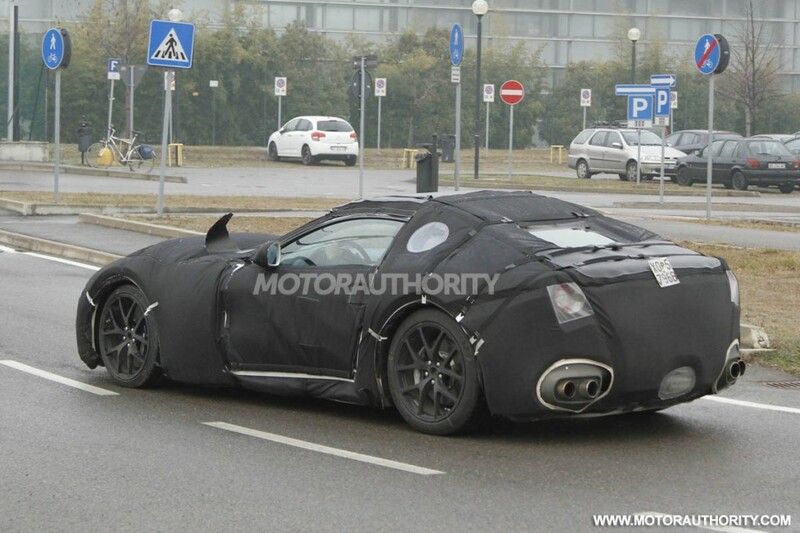 A few recent spy shots about the F620 GT, Ferrari did a good job on the camouflage against the car-paparazzi! Ferrari fans, the wait is almost over, be ready to welcome the Ferrari F620 GT! While it has some good lines to it, and I'm happy Ferrari is stepping up it's game in the performance department. But I have to agree, as far as I can tell, this is pretty subpar for Ferrari standards.